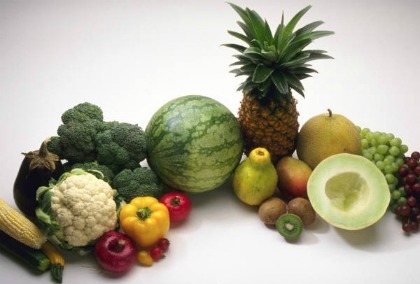 Rheumatoid Arthritis Treatment, Natural Super Foods and Your Diet. Rheumatoid arthritis treatment and managing RA with natural remedies through your diet. Super foods have incredible soothing powers to relieve pain from inflammation, joint swelling and stiffness. The best rheumatoid arthritis treatment; an all natural diet with foods that have the power to relieve RA symptoms. Anti inflammatory super foods are the most powerful, safest and most effective natural remedy in treating and managing RA. 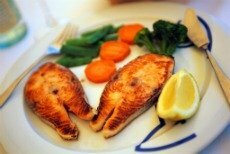 Your diet is the most natural remedy for arthritis inflammation and pain relief. A diet rich in super foods could not get any healthier for you! Not only will this rheumatoid arthritis treatment, become part of your everyday way of life, but these changes in your diet habits will do amazing wonders for your over all health; not just managing RA. Managing your RA naturally not only helps reduce the inflammation it helps reduce the pain. Eating a naturally balanced super food diet is rich in Omega 3 and Omega 6, Selenium, Beta carotene Glucosamine and Manganese with vitamins E, A, C, K and other nutrients which are listed below. Shrimp: Its shells contain high levels of glucosamine and contain high levels of selenium a low fat source of protein. Other foods that include selenium are Brazil nuts, tuna (canned light in water), crab, oysters, tilapia, lean beef, cod, wheat germ and whole grains. Salmon: A super food with an excellent ratio of omega 3s to omega 6s, and a very healthy supportive balance of saturated, monounsaturated, and polyunsaturated fats. Adding salmon at least once per week to your diet will go a long way in your quest for natural rheumatoid arthritis treatment. Almonds: Another high source of omega 3 and very rich in vitamin E and manganese. Including manganese in your diet will help speed up and increase the productivity of the glucosamine levels in your body. Pineapples: Contain brome lain which has remarkable healing properties and the capability as an anti inflammatory is superior to that of a comparable drug. It also help with sprains, cuts, bruises, and much more. Bell Peppers: All peppers are rich in vitamins A, C, and K. Antioxidant in peppers help to prevent cell damage, cancer, and diseases related to aging, and they also reduce inflammation associated in arthritis and asthma. Bananas: Contains all the vitamins necessary for fighting and managing rheumatoid arthritis naturally. Same vitamins found in peppers plus bananas have potassium. Apples, Berries and Cherries: All contains bioflavonoid, which have the ability to expel toxins from the joints. Avocado: An excellent source for rheumatoid arthritis treatment. In fact, it has been dubbed as “the most nutritious of all fruit.” Due to the fact that it provides twice the daily intake need for antioxidant and vitamins compared to its calorie proportion intake. Beta carotene: Foods include sweet potato, carrots, kale, butternut squash, turnip greens, pumpkin, mustard greens, cantaloupe, sweet red pepper, apricots and spinach. Beta cryptoxanthin: Foods include winter squash, pumpkins, persimmons, papaya, tangerines, peppers (red chili and red bell), corn, oranges, apricots, carrots, nectarine, and watermelon. Quercetin: Foods include onions (red, yellow, white), kale, leek, cherry tomatoes, broccoli, blueberries, black currants, elderberries, lingonberry, cocoa powder (unsweetened), apricot, apple with skin (*Red Delicious), and red/purple/black grapes. Anthocyanidins: Some of the best foods include blackberries, black currents, blueberries, eggplant, elderberries, raspberries, cherries, boysenberries, red/black/purple grapes, strawberries, plum, cranberries, rhubarb, red wine, red onion, and apples. Vitamin D: Adequate amounts reduce the risk of both rheumatoid arthritis and osteoarthritis. And these foods include, wild salmon, mackerel (not king), sardines, herring, milk (skim, 1 percent, low-fat, skim plus), enriched soy milk, egg yolks, and mushrooms. Turmeric: A super spice for its anti inflammatory properties. Ginger: Helps block the effects of prostaglandins which are substances that cause inflammation of the blood vessels. Using a half teaspoon of ginger in your tea can help relief and treat rheumatoid arthritis inflammation and pain. Extra Virgin Olive Oil: Has the most antioxidant benefits of the olive oils and work to extract the free radicals in your body that can lead to inflammation and joint pain. When preparing your food use oils such as olive oil and grape seed oil they contain Alpha-linolenic acids (ALA), which is a natural remedy in the aid of rheumatoid arthritis treatment. These oils contain anti inflammatory and antioxidant properties and help in managing RA. Also do not over cook food particularly vegetable as you will lose some of the healing properties when over cooked. So, we discovered foods that aid in your diet for rheumatoid arthritis pain relief, now here are some foods to avoid to continue helping in managing RA and keeping the symptoms at bay. Studies show people who avoid red meats, diary products, and caffeine, simple and refined carbohydrates, and of course saturated and Trans fats (which are all 3 found in processed foods) have noticed a remarkable improvement. Avoiding these foods is a very good starting point as a natural remedies for rheumatoid arthritis treatment. For some individuals it increases mobility, flexibility and overall movements and dramatic reduction in pain and swelling of the joints and some experience complete recovery meaning no rheumatoid arthritis symptoms. And Freedom From It's Grip! Here's a quick list of seven favorite super foods to use as part of your Rheumatoid Arthritis Treatment. • Wild Alaskan salmon – my all-time favorite inflammation fighting food… Wild Alaskan salmon is a heavyweight champion in a small package – a 3oz portion can fight inflammation as well as 6 cups of raw spinach! * Raw food warning; bottom of page! Incorporate these super foods into your diet as part of your rheumatoid arthritis natural remedies and begin to see and feel the difference in your pain and inflammation. COMING SOON! Super food recipe books over in the right sidebar to help make managing RA tasty and simple. * If you suffer from a Candida Yeast Overgrowth Infection steam or stir fry your raw foods; do not eat them raw! Is Candida Albicans Causing Your Inflammation and Pain?